Donna's adaptable teaching style molds to meet the unique needs of her students, both local and distant, who range in age from 4 to 94. Her friendly and engaging personality ensures that you learn more than how to fiddle, but also to enjoy the learning process. Looking for something more formal? Donna also teaches classical violin up to grade 8. Two years ago Donna took an opportunity that moved her to the small village of Forget, SK where she started a new music studio with her husband Morgan, also an accomplished musician. 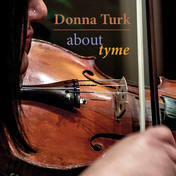 Previously, Donna Turk had been a Calgary based fiddle teacher and performer for more then 20 years. She maintains her ties with her Calgary students through various fiddle camps in the area including the Shivering Strings Music Camp.